Shipping: This product ships in multiple boxes, which the website cannot figure into the shipping charge. Therefore, a $60 handling fee will be added to all plow orders to help cover the shipping on the multiple boxes you will receive. 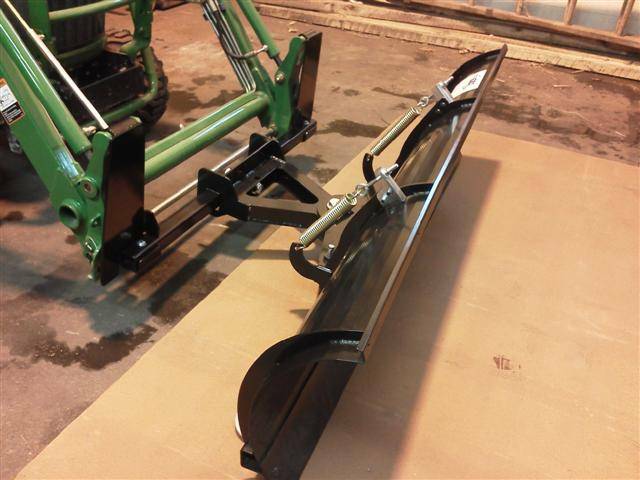 Quick Attach 72" Snow Plow for John Deer Quick Attach Loaders. Works with John Deer (JDQA) System. Fits: The following models. H120, D120, 210, 200X, 200CX, 300X, 300CX, 305, 400X, 400CX, 410, 419, 420, 430, 440, and 460 John Deer Loaders used on Tractors with less than 43 Engine Horse Power. Laser cut and fabricated in Cleveland, Ohio. Replaceable 1/4" thick wear blade made from Abrasion Resistant Steel Plate. Pivot in the center allows the ends of the plow to move up and down following the contour of the ground. Attaches to you JDQA in less than a minute. Blade is 72" Wide, and 20" High. Optional Electric over Hydraulic Power available $759.99, but not included. Angles Left, Right, and Center with a hitch pin. Recommended for tractors up to 43 HP. SHIPS UPS GROUND to your door. 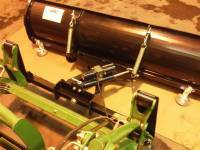 Quickly attaches to your John Deer Front loader with JDQA (John Deer Quick Attach). Laser Cut from A36 steel in the USA. The mold board is made from 14 gauge steel and backed by a 1/4" steel frame. 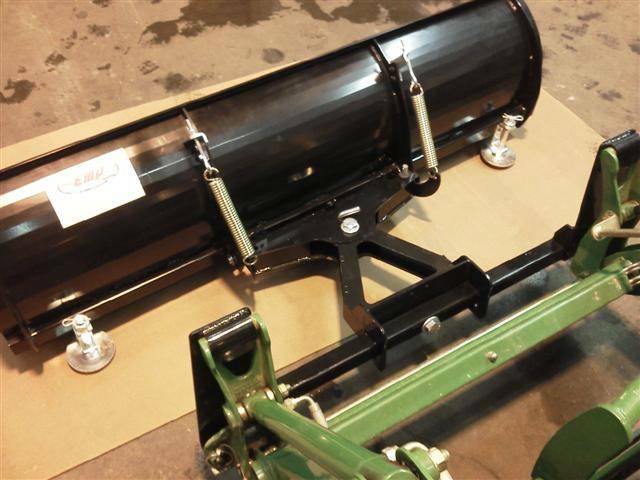 The plow swivel frame is also made from 1/4" thick steel. The center has a pivot allowing the ends of the plow to float 5 degrees. This allows the plow to follow the contour of the ground. The hooks and pins are Genuine John Deer parts, we just weld them to our mounting brackets to insure a perfect fit to your JDQA. Shipping Remarks: This product ships in multiple boxes, which the website cannot figure into the shipping charge. Therefore, a $60 handling fee will be added to all plow orders to help cover the shipping on the multiple boxes you will receive.